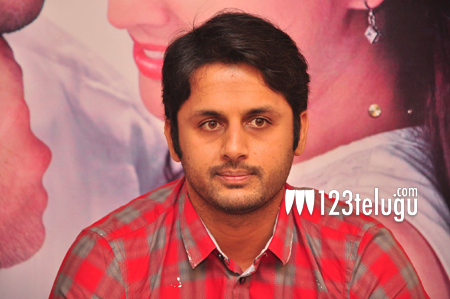 Will Nithiin repeat his success combo? Until the release of Ishq in 2012, Nithiin was desperate in need of a hit to revive his sagging career. Ishq became a big hit and the blockbuster success of Gunde Jaari Gallanthayyinde, which released later, brought Nithiin back into the limelight. Incidentally, both these films had the talented Malayali actress Nitya Menen playing Nithiin’s love interest. If the ongoing buzz is anything to go by, Nithiin will team up once again with Nitya Menen for the third time. Yet another coincidence is that this film is said to be directed by Gunde Jaari Gallanthayyinde’s director Konda Vijay Kumar. We will have to wait for a few more days to see if these speculations come true eventually. Currently, Nithiin is wrapping up A..Aa under Trivikram’s direction.